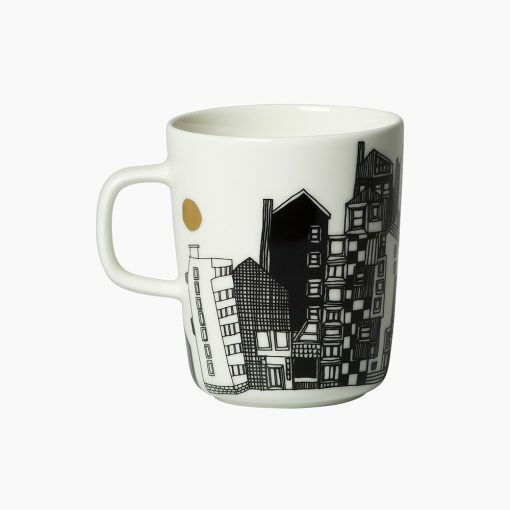 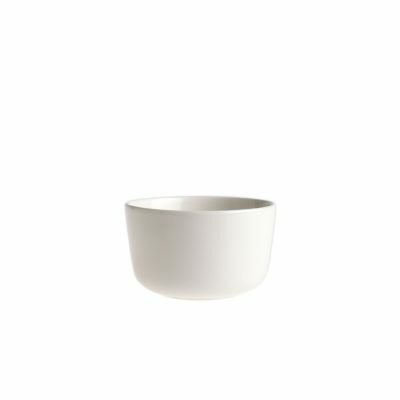 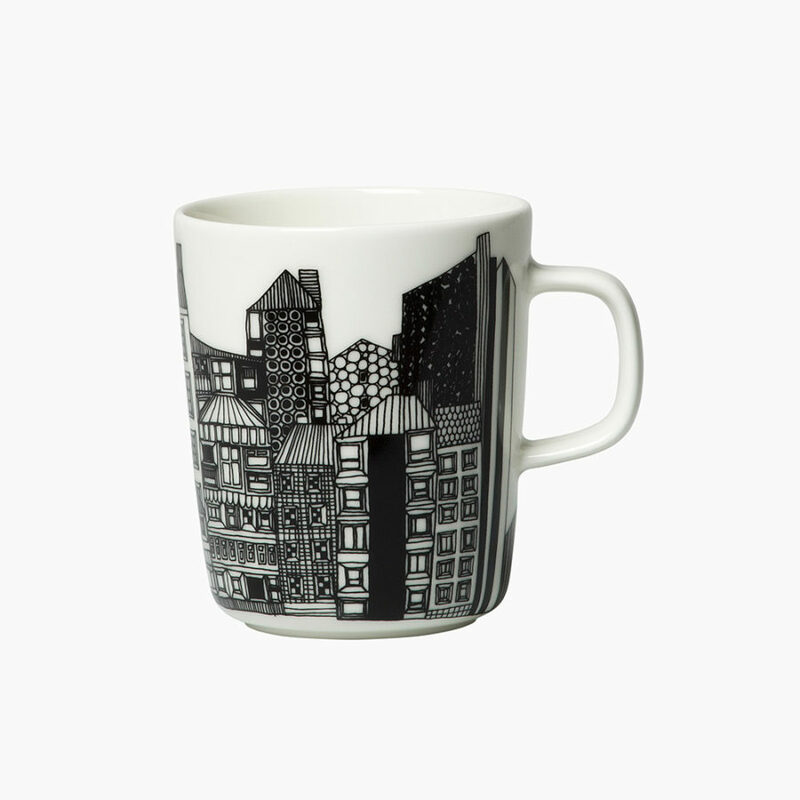 Marimekko Oiva Anniversary mug in gold, black and white and is made of white stoneware. 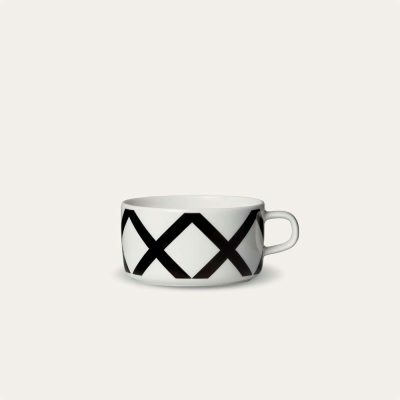 This Oiva mug carries the black and white Siirtolapuutarha pattern, which is adorned with a golden sun. 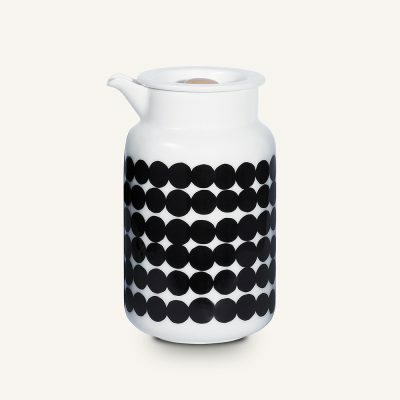 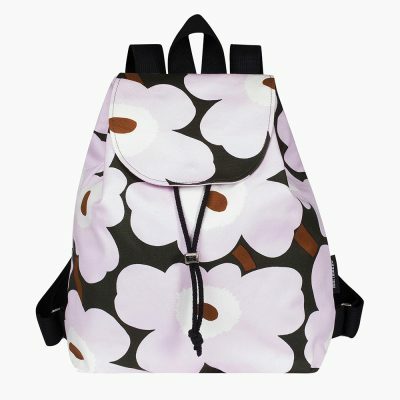 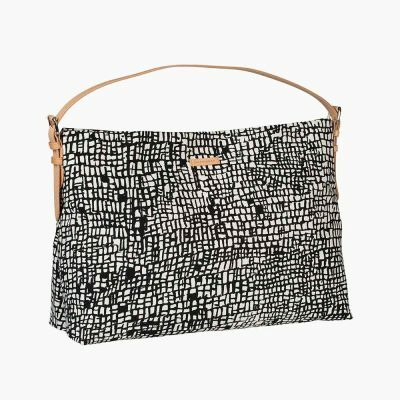 It is part of a special collection, which celebrates the 10th anniversary in 2019 of the Siirtolapuutarha pattern by Maija Louekari and the Oiva line of dishes by Sami Ruotsalainen.